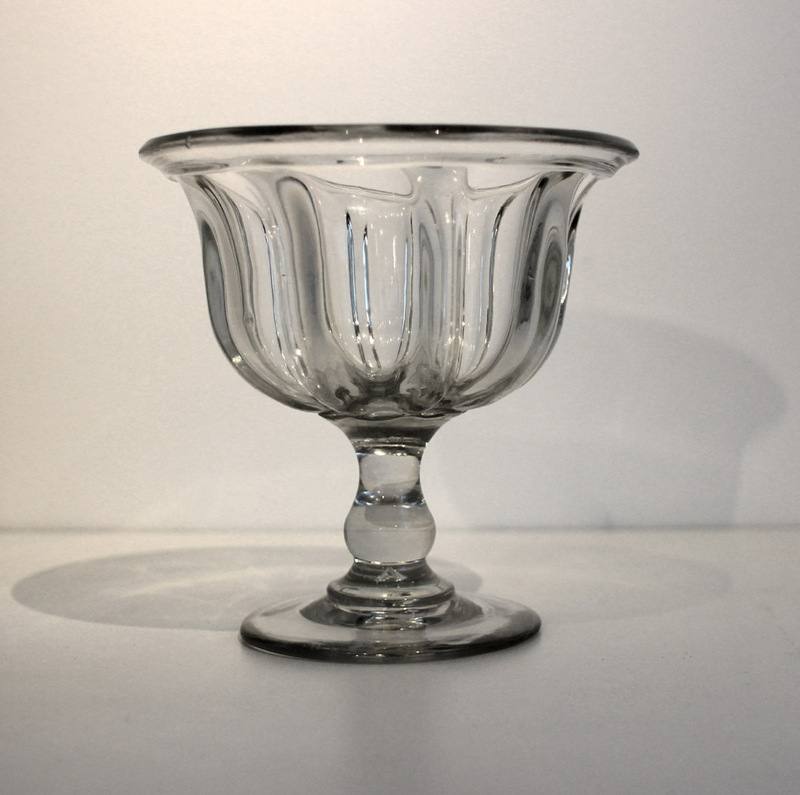 An excellent, heavy pillar molded compote of blown glass. Solid pedestal base and nice folded rim. Very good proportions and fluid lines. Made in Pittsburgh, PA area and in excellent condition. Will look great filled or on its own. Excellent condition. This has the appropriate signs of slight use to the base.